Blackstrap molasses is the dark, viscous liquid byproduct of the sugar cane’s refining process. Sugar cane is first mashed and boiled to create syrup, while a second boiling creates the regular molasses. A third boiling process creates the dense and slightly bitter blackstrap molasses. It has the lowest sugar content than any sugar cane byproducts. An article posted on the Earth Clinic website notes that blackstrap molasses is the strongest type of molasses due to its high concentration of nutrients. While they are sugar cane byproducts, black strap molasses are digested more slowly, which in turn helps regulate blood sugar levels. This superfood is especially beneficial for patients with diabetes. Likewise, blackstrap molasses contains vast amounts of minerals — such as magnesium, calcium and manganese — that help improve the body’s digestion. 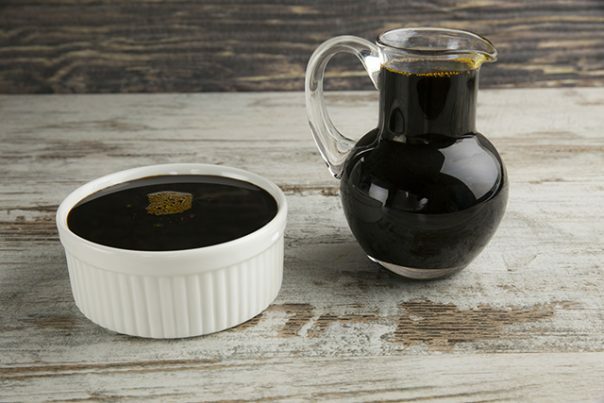 Taking one to two tablespoons of blackstrap molasses is found to relieve constipation. The superfood is also an excellent source of iron, an essential mineral that promotes red blood cell production. In fact, five tablespoons of blackstrap molasses may provide up to 95 percent of the recommended daily intake of iron. This makes black molasses an ideal food fare to prevent the onset of anemia. Likewise, the popular flavoring is packed with potassium that helps improve the body’s overall health. In addition, blackstrap molasses is rich in bone-fortifying minerals that help keep skeletal disorders such as osteoporosis at bay. An article published on the Health Line website notes that five tablespoons of blackstrap molasses contain up to 50 percent of the recommended daily allowance of calcium, 95 percent of iron and 38 percent of magnesium. Aside from this, the high magnesium content in blackstrap molasses offer protection against asthma and cardiovascular diseases. Moreover, the superfood is known to alleviate symptoms of arthritis. Blackstrap molasses boasts with anti-inflammatory properties that help relieve joint swelling. The healthy sweetener is also remarkably effective in supporting the bones and connective tissues. On the other hand, the superfood is touted to ease menstrual pain and reduce the severity of menstrual symptoms. Furthermore, blackstrap molasses is notably high in important nutrients that help improve brain function and the nervous system in general. This makes the superfood especially beneficial to nutrient-deficient patients with attention deficit hyperactivity disorder (ADHD). Blackstrap molasses promote the overall health of the digestive system. Likewise, the superfood is beneficial to both the circulatory and the skeletal systems. In addition, the popular flavoring offers sweet benefits to the female reproductive health. Moreover, blackstrap molasses help improve brain function and the nervous system. Furthermore, the superfood supports both the respiratory and cardiovascular systems. Blackstrap molasses is among the most versatile flavoring agents that can be used in a variety of dishes. The sweetener’s dark, earth flavor makes it a staple in backed goods such as cookies, loaves, muffins, and pies. Likewise, blackstrap molasses can be added to vegetable stir fries for an interesting glaze. The superfood can also be incorporated in various marinades, dressings, and sauces. The sticky consistency of blackstrap molasses also makes it an ideal binding agent for home made power bars and energy balls. In addition, the superfood can be taken as a morning tonic. Blackstrap molasses help alleviate arthritis and prevent osteoporosis. Blackstrap molasses relieve digestive issues, menstrual symptoms, and ADHD. Blackstrap molasses ward off anemia, asthma, and cardiovascular diseases. Blackstrap molasses benefits the digestive, circulatory, and the skeletal systems. Blackstrap molasses boosts the nervous, respiratory, and cardiovascular systems. Blackstrap molasses supports the female reproductive system.